OPEN SUNDAY 4/8 1-3:00! !Single home for the price of a CONDO! 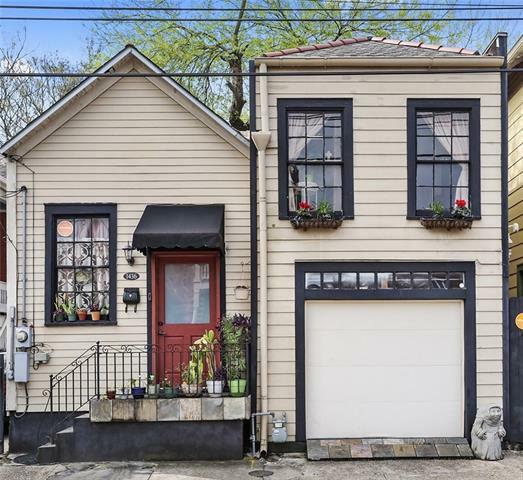 Charming 2bed/2bath in Lower Garden District 1 block from St. Charles Streetcar line;blocks from Downtown Arts &Warehouse District. Original tongue &groove wood floors in living rm &kitchen. Private master up w/bath& walk in closet. Sm garage converted to living space w/central AC&heat,(could be used as 3rd bedroom) Great home w/incredible VRBO potential. 1 block walk to Coliseum park great for enjoying outdoors or a day w/your pet. X flood zone. Listing provided courtesy of Simone S Soignet of Keller Williams Realty 455-0100.